Superdry women’s Real sparkle t-shirt. 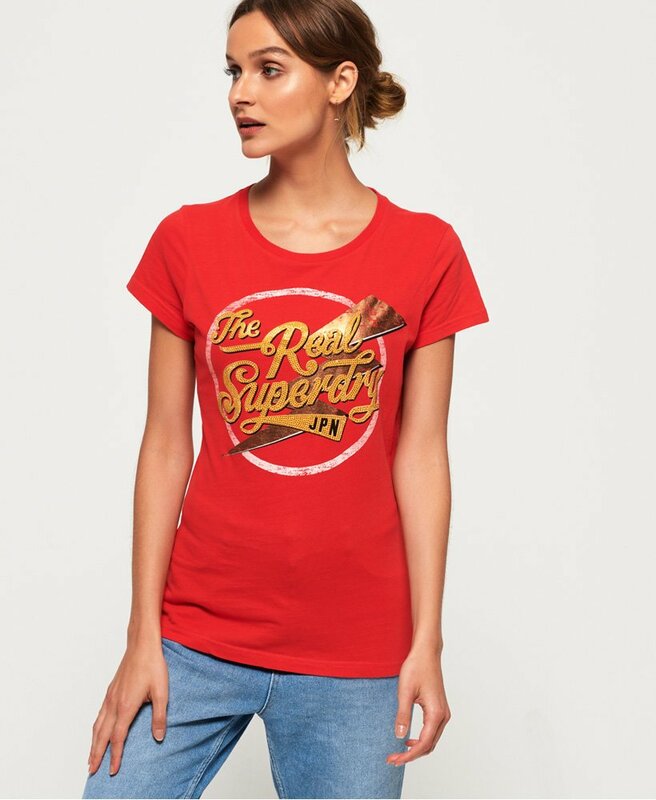 This classic style tee features a Superdry logo printed across the chest that has been decorated with rhinestones to add some sparkle back into your wardrobe. For the finishing touch, this tee has been finished with a Superdry tab on the hem. The Real sparkle tee is perfect for your off-duty attire, it is a comfortable yet stylish addition to any wardrobe this season and can be easy worn with a variety of wardrobe pieces.